Have you noticed that your yoga classes have become strictly physical? That it focuses on sweating, chaturangas and acrobatics? Maybe you don’t even know that yoga is more than a physical exercise? Let’s be real, the richness and depth of what yoga has to offers is lacking in most classes ….. everywhere! Tragedy! As a Wellness Professional or Educator, have you ever tried to share something deep, yoga philosophy or other, visual imageries, myths with your studentship or clients? Have you stopped doing that because you can feel their "imaginary” crossed arms, clenched jaw and inner eye rolling? The yoga room Has become sterile and stripped from tradition. What I am hearing lately from the yoga community is that teachers feel less and less confident sharing human stories, yoga philosophy, myths & self-transformation terminology with their student. The yoga room has become sterile and stripped from tradition. Learn to teach confidently and authentically. Simple ‘how-to” skills to teach a soul-inspiring class for our current climate. Thematic Integration in a yoga class: learn how to instruct a yoga class using intentions & the power of visual imagery. The concept of beauty and resonance applied to a yoga class or therapeutic setting and the art of holding space for our clients & students. Fortify your commitment to your craft and use this week as an initiation to the inner journey of your soul. 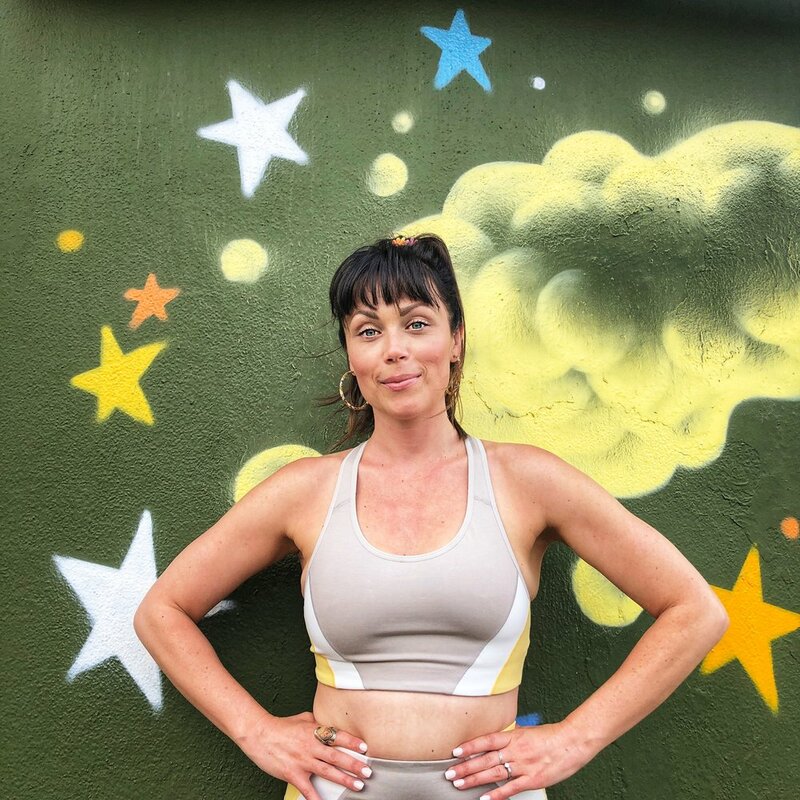 Estelle loves to help yoga teachers, school teachers, therapists and other health profession discover fun and accessible way to share yoga philosophies, symbol and stories without freaking anyone out! At the end of the four days, you will be able to teach yoga using visual imagery. 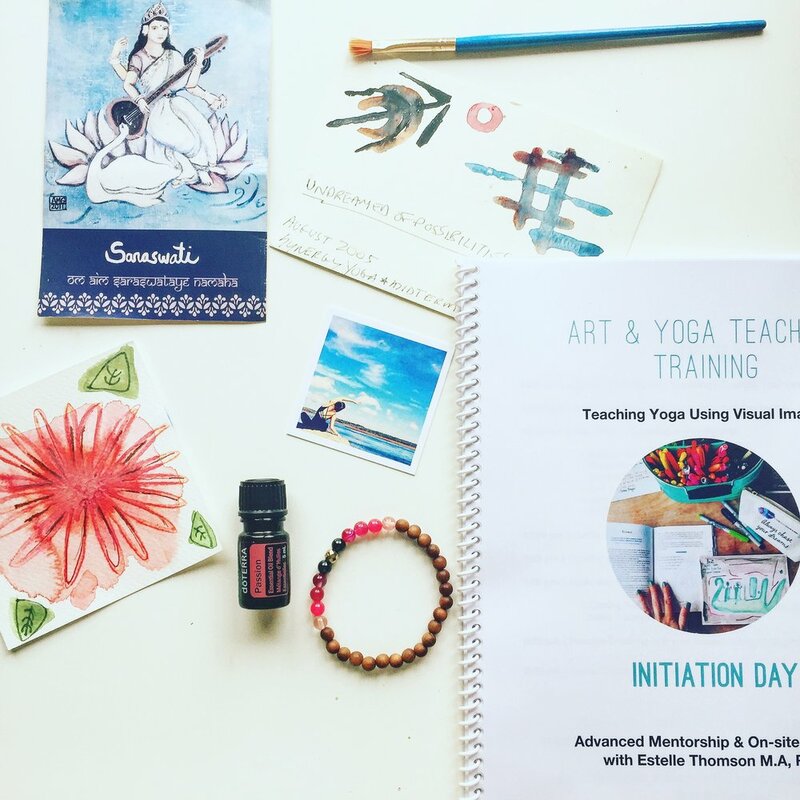 This is an Introduction to the theories and practices associated with teaching yoga with art tools in a yoga studio that are not branded, schools in general and one-on-one. Use art as catalysts for designing your yoga classes plan. Presentations and discussion of current scientific research associated with yoga, mindfulness and art. Tips and techniques for starting your own yoga program in rented spaces, your community or living room! Estelle’s INITIATION Manual as a guide and future resource. DOORS TO ART & YOGA SUMMER INITIATION CLOSES APRIL 25th!!!! Conceive, design and teach a yoga class integrating art and intention. Construct and teach a yoga classes that include creative and expressive art. Create and teach activities to centre, relax or rejuvenate. Learn, practice and weave intention and amplify the magic of your class. This is a MUST training if you are registered in the Yoga Mentorship Program but you do not have to be part of Mentorship to attend! hint, hint: This is a TRAINING. It is completely legit to have your school or boss pay for this. This is Professional Development at it’s finest.